【bet365】Can England Win on Home Soil in ICC Champions Trophy Action? The Odds are Out! Who will be the top batsman & bowler during the upcoming ICC Champions Trophy campaign? bet365 has the latest odds! 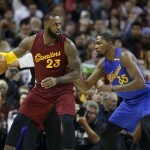 【Podcast】Episode #6: Who’ll Take the NBA & NHL Playoffs? The Bookies’ Odds are Out! Which teams will be going home with the Larry O’Brien & Stanley Cup trophies? Mr. Bookmaker not only highlights the NBA & NHL playoffs but also the major soccer matches set to kick off this week. 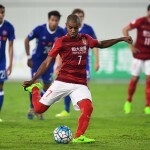 【bet365】AFC Champions League: Who’s Going to Get Knocked Out? The oddsmakers at online bookie bet365 shed light on who has the best chance to become the new king in Asian soccer. 【Podcast】Episode #5: Who’s Favored to Take FIFA’s U-20 World Cup? 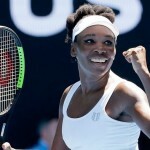 Mr. Bookmaker Sheds Light on the Odds! The finals for this year’s Europa League & Champions League are set. Which teams will be victorious? Mr. Bookmaker covers these match-ups & more in this week’s episode! 【Podcast】Episode #4: Who’ll Survive Relegation in the EPL? Mr. Bookmaker Showcases the Odds! Who will go home as champion as the EPL season comes to a close? 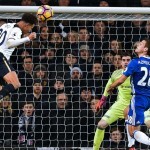 Chelsea or Tottenham? Mr. Bookmaker shares his thoughts in this week’s episode! 【Podcast】Episode #3: Champions League & Europa League 2nd Leg Action! Can Real Be Stopped? Who’ll make it to the finals of the UEFA Champions & Europa League? Mr. Bookmaker reveals the odds and more in this week’s episode! 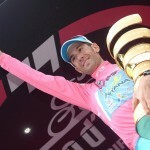 【bet365】Is the 2017 Giro d’Italia All for Nibali’s Taking? Online sportsbook bet365 weighs-in on who are the favorites to win this year’s Giro. Can Nairo Quintana capture back the title? 【bet365】2017 Kentucky Derby: Can Classic Empire Ride to Glory at Churchill Downs? 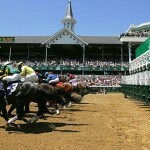 Online bookie bet365 reveals the favorites for the first leg of the triple crown! Can foreign invader Thunder Snow trump the field?